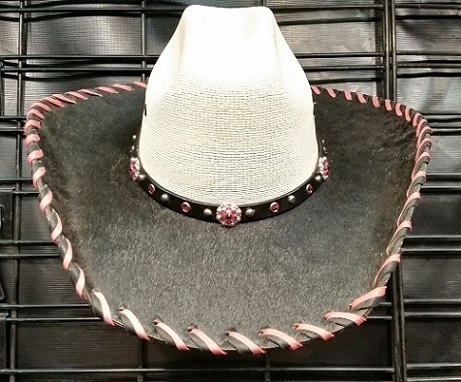 These hats will compliment any wardrobe. 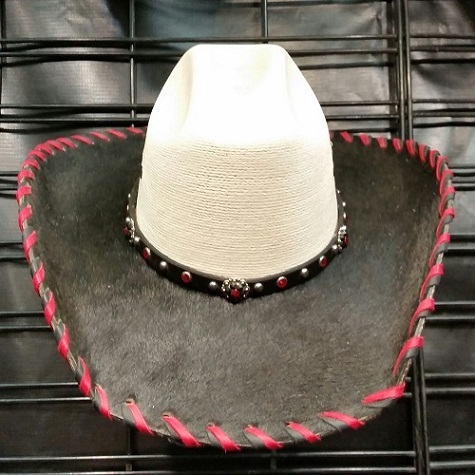 You can custom order many options to give you your own unique look. 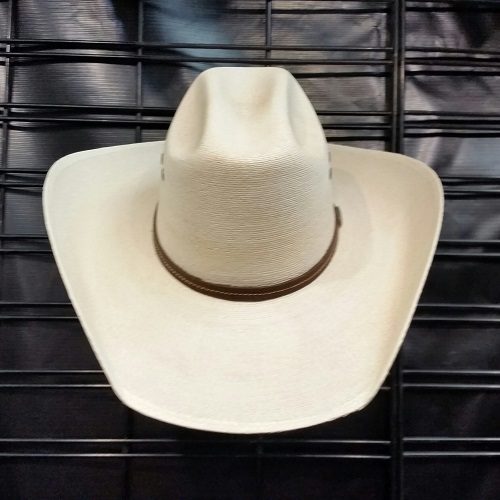 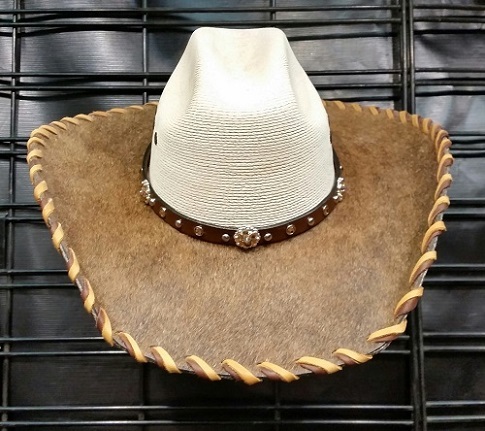 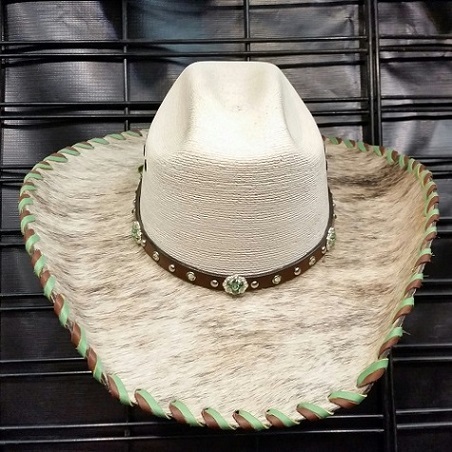 Just pick out the cowhide, lacing colors, and hat band to order your custom hat. 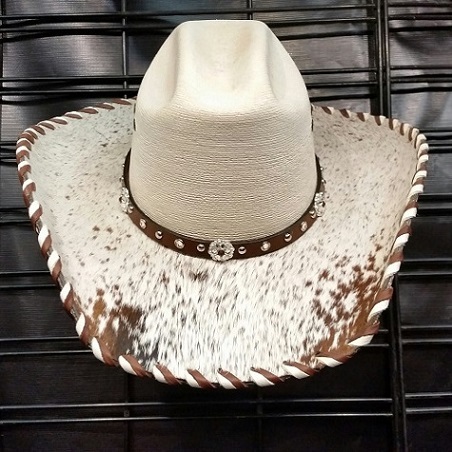 Cowhide Options: Black, Black and White, lt brindle, red brindle, dk brindle, black speckle, brown speckle, chocolate, or brown.